You might be thinking: aren’t plastic ukuleles just toys? Well, in the past that may have been the case. Now they’re a great option for you to take on the go. Manufacturers have improved both design and the quality of the materials that they use, so this makes for a great instrument to carry around. Most of them are made in soprano style, so they won’t take up much space, making them even more portable. Plus, they’re very inexpensive! 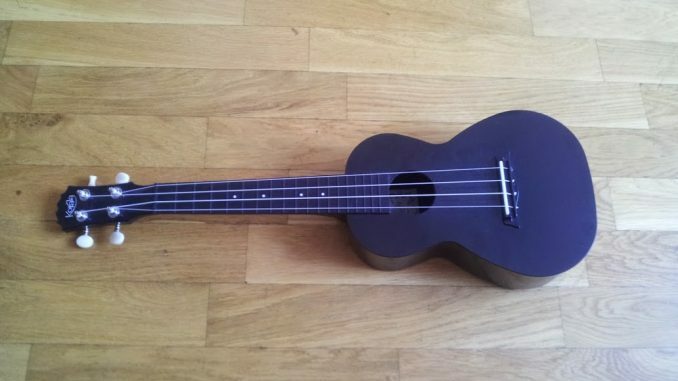 You can get any decent plastic ukulele for under $50, so you don’t have to break the bank. 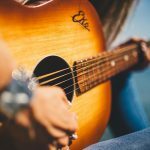 If you’re really passionate about music and you’re not shy about breaking into a song when the moment strikes, a plastic ukulele might be just the best option for you. They’re light, small, and they have a great sound in spite of being made out of plastic. Another great thing about them is that they require less maintenance than a wood ukulele. Plastic doesn’t really need much upkeep and maintenance. If you just keep it clean you’ll be good to go! We have a full and detailed list of our favorite plastic Uke’s below, but if you want to head straight for our recommended model, check out the Kala MK-SWT. This is one of the top reviewed products on the market. The fact that they’re made out of plastic also offers you the advantage of having an all-terrain instrument. They won’t be so easily affected or damaged by water, heat or cold. This means they’re also more durable than the standard wooden ukulele. Plus, if you’re a particularly adventurous person and you like hiking, trekking, kayaking, etc. on a regular basis, you’ll see the charm in these great little plastic instruments. 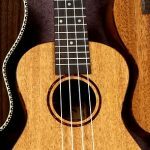 I am not getting drawn into a plastic vs wooden Uke comparison. 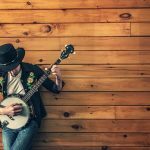 Don’t expect wooden ukuleles to be replaced for on-stage performance anytime soon, but for convenience and for beginners these are a wonderful option. The impressive Kala Makala Waterman offers you great value and quality for your money. These plastic ukuleles are made of a high-grade polycarbonate type of plastic, which makes it very durable. You will not be getting a flimsy instrument if you opt for this Ukulele. As for design, it has a pretty standard ukulele design and it comes with nickel-plated open gear tuners and Aquila Super Nylgut strings which guarantee great sound right out of the box, quality ukulele strings are vitally important for getting a good sound. Plus, it comes in a wide variety of colors. Personally, I think the coolest version is the clear ukulele. It’s very interesting looking! There’s no other word for it. You’ll also be surprised to know that the Kala brand also offers you a glow in the dark ukulele, which is something of a novelty, but pretty cool. This is number one on my list because it’s one of the most popular choices on Amazon for a plastic ukulele. People just love it! On top of everything I’ve already mentioned, this ukulele is, of course, water-resistant and easy to clean up. It’s lightweight and it’s not tough to carry around. This is a relatively new company and they specialize on high-quality sound plastic ukuleles. This Aqulele from BugsGear has a large, offset sound hole that’s meant to get a lot more sound projection out of this little thing. It’s made of ABS plastic and it comes with stainless steel geared tuners. It comes in soprano size, so it’s great to carry around. It’s water-resistant and it comes with a nice gig bag to make it easier for you to carry around! Whether you’re traveling with it or you just want to take it with you whenever you go, this is a great choice. This is another awesome soprano ukulele that’s closely competing with the Makala Waterman when it comes to price! This ukulele is made of mixed plastic materials to ensure that it’s really sturdy for you and its design features a carbon fiber pattern. 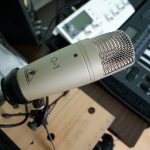 It has a decent quality of sound and it’s perfect for both beginners and more professional players. This Woodi Ukulele comes in a very wide array of colors and patterns! So you’ll have many options to choose from if you want to stand out. It’s also water-resistant so it’s perfect for travel! This soprano outdoor ukulele is the most expensive one on the list. But those extra bucks go into getting a very sturdy ukulele that can take a fall or two. It is more on the robust side so if you’re clumsy maybe this is a good choice for you. 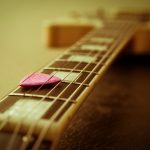 The quality sound is okay and it has a particular sound to it, like most plastic ukuleles, that will allow you to play around and come up with interesting sounds. It is made out of polycarbonate and it comes with Grover tuners and D’Addario strings. It’s got a nice weight to it so it doesn’t feel empty and flimsy and it also has a bit of texture so your hands won’t slip from the surface. It also comes in brown, green, and gold! There you have it! 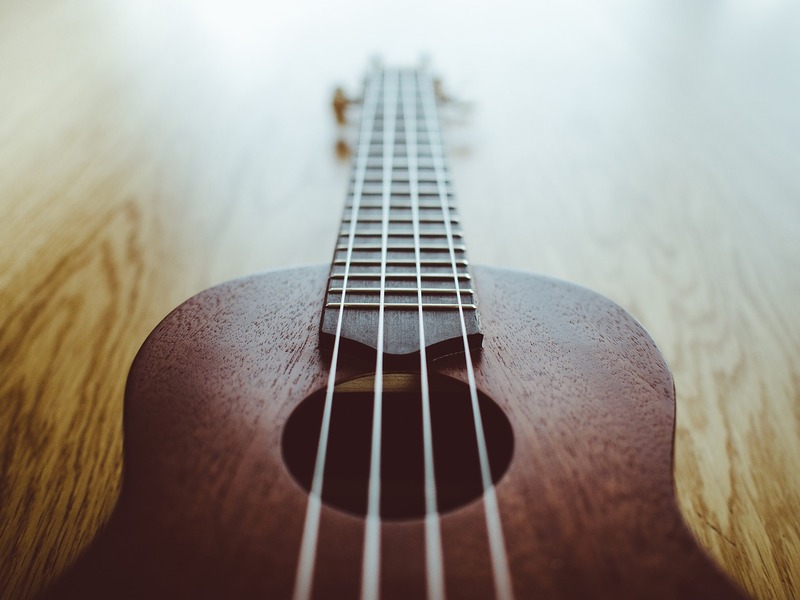 As you can see, plastic ukuleles are no longer toys, they’re a serious instrument choice for the more active players and they’re also perfect for you to take on holiday. That way you’ll have the choice to bring music everywhere. If you’re thinking about gift-giving, they are also a great choice to give away. Your friends and family will be very happy with it. The ukulele is a pretty interesting instrument which has grown a lot in popularity. So that’s why it’s such a great thing to be able to have a compact, light instrument with you if you’re out camping, on the beach, or just practicing in the front room. If you’re on a budget, it won’t be a problem because you can get a great quality plastic ukulele for just a few bucks. Just make sure you choose one of the best!